How many hard drive do you have right now? To be honest, I own 5TB just for my personal data and I have up to 12TB for my production house data. All of it consist of video, photos and some important documents. Since I travel a lot, I need a portable hard drive. I own 2TB Western Digital Elements hard drive and seems it never enough for me. So I decided to get another hard drive so that I wont mix between my personal and my work data. The good news is, Western Digital just came out with My Passport Ultra 3TB version. This is huge capacity with the size of palm of your hand. So now I can take all my photos, videos and music with me wherever I go. Everything look almost the same. From the size and design. Do check out my unboxing review of Western Digital Elements, HERE! 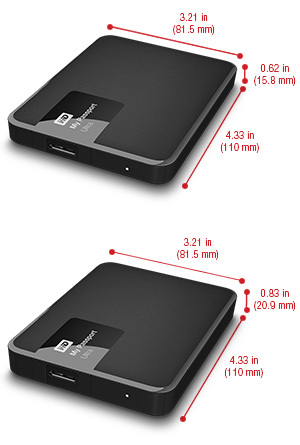 Basically My Passport Ultra is high end version of portable hard drive from Western Digital. My Passport Ultra is a sleek, powerful and secure little device. Behind the colorful exterior are seven generations of innovation and reliability. WD Drive Utilities With user-friendly WD Drive Utilities, you can register your drive, set drive timer, run diagnostics, optimize functionality and set up drive security features. WD knows our data is important, so they build their drives to demanding requirements for durability, shock tolerance and long-term reliability. And for peace of mind, they back up their reliability with a 3-year limited warranty. Sleek design with high capacity. Do you know how fast is this? Power up with USB 3.0 My Passport Ultra features USB 3.0 compatibility, which means 5 Gb/s transfer speed (3X faster than USB 2.0) and you can power up your My Passport Ultra without carrying a bulky power cord and plug. For more information regarding Western Digital My Passport Ultra, visit their website: HERE!